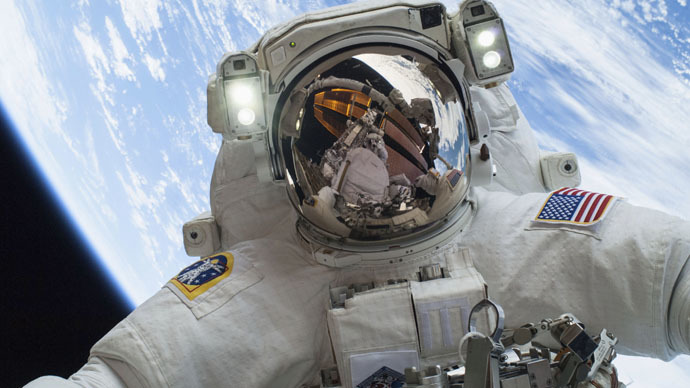 When NASA astronaut Terry Virts took his first spacewalk this weekend, he did what comes naturally these days and immortalized the event with a selfie. The spacewalk was part of an important mission to reconfigure the station for the arrival of new docking adapters, intended to accommodate commercial spacecraft delivering new crew and cargo to the orbital facility in the coming years. Currently, the crews reach the International Space Station via the Russian Soyuz spacecraft. Cargo deliveries are handled by Russian Progress-class supply ships, and since May 2012 by the SpaceX Dragon craft. The current crew aboard the International Space Station – Expedition 42 – consists of NASA astronauts Wilmore and Virts, European Space Agency astronaut Samantha Cristoforetti and Russian cosmonauts Elena Serova, Alexander Samoukutyaev and Anton Shkaplerov.